How often do you think about changing your graphic design strategy while in your marketing meetings? While it is stressful enough to come up with a new advertising theme, the imagery might not seem as important. Take a moment to think like a customer. Would you walk into a store and buy a product based solely on a written description? Neither would customers online, so take a hands-on approach for a few critical reasons. The following five points will emphasize its importance as well as why it is vital to hire an experienced graphic designer to assist you. An excellent graphic designer goes far beyond your website layout as graphics tell a story, recommend products or services based on how an image captures their uses, and communicates business ideas with artistic creativity. 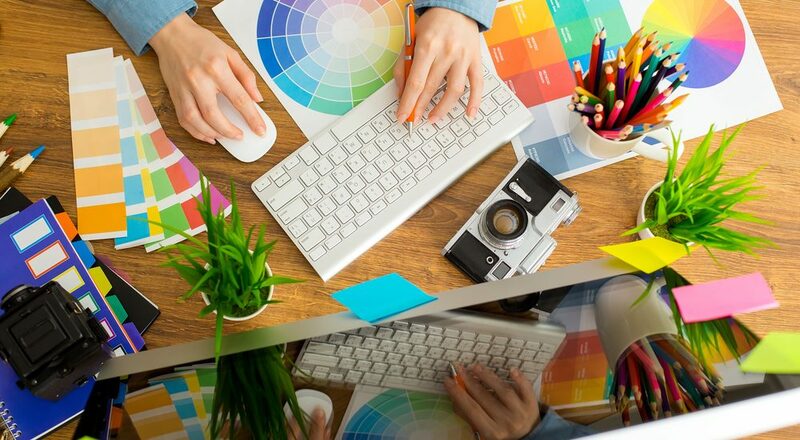 A graphic designer can also inform a consumer and communicate a concept that conveys a different theme or idea which helps businesses diversify their advertising concepts to sub-niche audiences. A professional look is more than just a dress, business model, or advertising message. It is also aesthetic as customers and clients judge businesses based on what they see quicker than what they experience. If you want to put your best impression forward, work with a graphic designer whose skill set includes being able to see the world visually. They have the skillsets to design campaigns in vibrant colors. Make the first impression before you even know you need to as people tend to visit a website for a visual idea of operations. An online business is driven solely by the way you lay out your website visually, the loading time, and how well you get customers to buy on your site. Your brand logo and graphics are the first things people see because a good graphic designer has taken the time to look at your website layout, color schemes, and landing page function to find ways to improve it. Anything that disrupts aesthetics can be the driving force behind customer and revenue losses. Have you taken the time to update your website? If you work with an inexperienced graphic design artist, it will cost you exponentially as you have to start your campaign over, postpone a campaign, or pay a second designer to fix what the first one you hired failed to accomplish. Is it worth it financially? A bad campaign can ruin company morale which extends far beyond a marketing department since one area’s issues always affects another’s productivity. It is generally on the business website that graphic design flaws are observed. Colors cannot be too bold or too boring. Fonts must be legible. The shapes, textures, function, and navigation all must work like clockwork. Even one graphic design flaw can spoil a website’s usability. When you put off graphic design choices until last, you are reducing the amount of time a professional could be using to design a brilliant concept. Give us a call at 310-427-7706 or contact our graphic design experts for consultation at https://frogmanmediagroup.com/.